How do rootstocks affect apple fruit size? What do apple rootstock leaves look like? 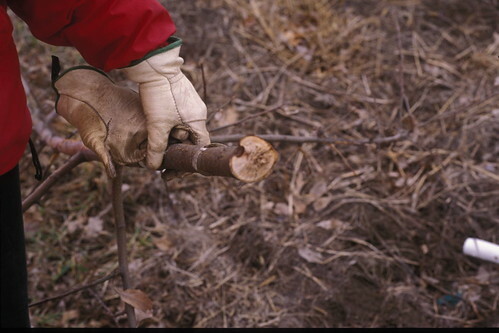 Do I have to stake all trees on all rootstocks? Which rootstocks are winter hardy? How should I choose among dwarfing rootstocks for my apple orchard? How do I determine the spacing between trees on a given rootstock for my apple orchard? Which apple rootstocks are susceptible to fire blight? Can I grow apple trees in my windbreak? What is black root rot (dead man’s fingers), and how do I identify and manage the disease? How do I identify and manage Armillaria root rot, or shoestring rot, in apple? What is white root rot in apple trees? 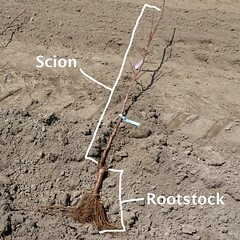 Will an apple tree grow differently if I plant the graft union high above the soil or close to the ground?